On Monday, July 11th, the Israeli military demolished 5 buildings of local Palestinian businesses in the closed neighborhood of al -Khalayla near al-Jib village outside of Jerusalem. At 6:30am the owner of a window shop received a call from the Israeli military that part of his business’s building structure would be demolished. Not long after the phone call, he arrived to the shop to find that they had already finished demolishing part of the structure. explained that the military had come one month prior to issue the demolition. He then mentioned that twenty people were occupying the residences before they were demolished. The police also accompanied the military in 3 Hummers. Later that morning at 10am, the Israeli military demolished Ismail Abu Rabah’s supermarket. Four months prior they had come to the village to issue the demolition. 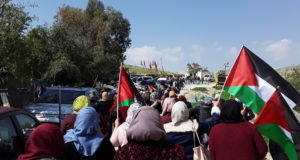 Ismail explained that he had hired a lawyer to work on the case in Israeli court, but was not successful in suspending the demolition for a longer period of time. Ismail had only short notice before his supermarket was demolished. 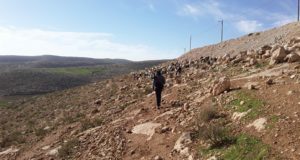 While he was able to move refrigerators, shelves and products from the store into his home before the Israeli military arrived, the destruction of his business has cost him his livelihood. In the late morning and early afternoon, the Israeli military demolished buildings of a mechanic garage and a truck and storage company. The owner of the garage explained that the military had arrived only one week before to issue the demolition. At approximately 1pm, structures of the Nasr storage and truck facilities were demolished. One of the sons, Tilal, explained that their equipment and storage structures were damaged, including a tractor owned by the family. Al-Khalayla is located in Area C on the Jerusalem side of the Apartheid Wall. 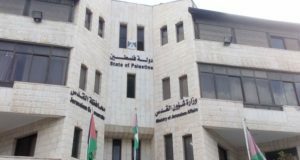 It is inhabited by about 700 Palestinians, 250 of whom hold West Bank Palestinian ID cards. Approximately half of Palestinians holding West Bank IDs are registered as refugees with the UNRWA.